With iOS 12 Apple is extending the ‘Live Listen’ feature to AirPods. Live Listen is not a new feature and has been available in iPhone’s Accessibility section. However before iOS 12 the feature only worked with ‘Made for iPhone’ hearing aids. Live Listen feature for iPhone, iPad and iPod touch allows users to turn their iOS device into a remote microphone. The iPhone listens to the audio around it and transmits it to the Made for iPhone hearing aid. Now that the feature has been updated with AirPods support, users will now be able to take advantage of it without hearing aids, and on their AirPods. 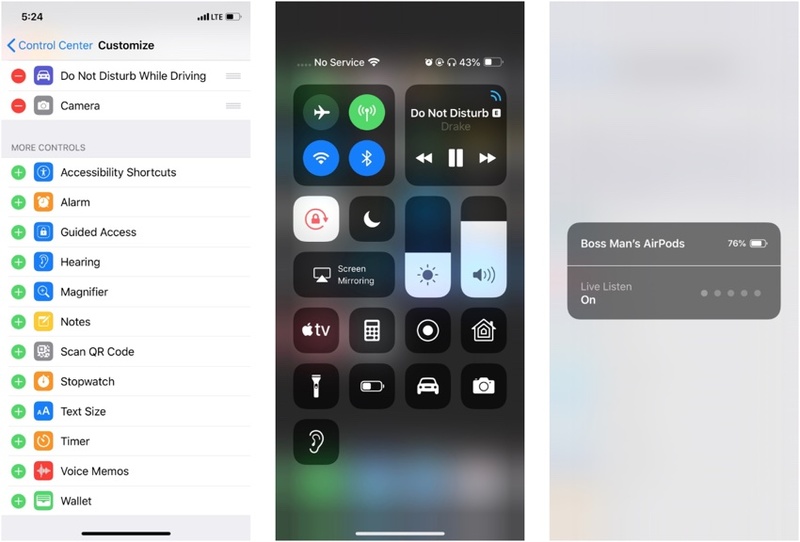 By adding support for AirPods Apple has opened the Live Listen feature to many more users as now users will be able to place their iPhone in another room and use the Bluetooth connection of their AirPods to wirelessly listen to audio from that room while they are at a distance, as long as they are in Bluetooth range. This potentially has many uses, for example you can place your iPhone on the Live Listen mode and use it as a baby monitor or listen to TV audio while you are working in the kitchen. The feature can also be used for sinister purposes, such as eavesdropping on someone else’s conversations.